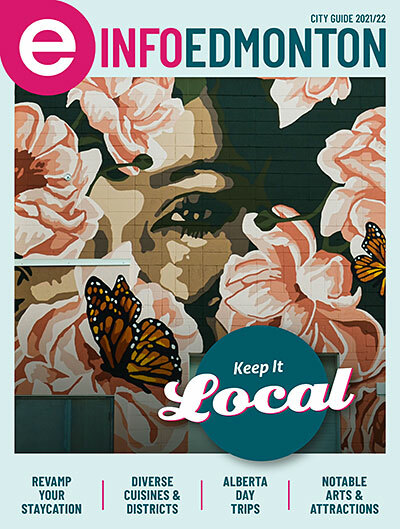 We’re just gonna say it: Edmonton knows how to give back. Whether we’re building community relationships, championing environmental practices, or partnering with like-minded go-getters, our do-good philosophies make their way into what we buy, make, and sell. The satisfying result? Gifts that keep on giving. 1. Heartprint Threads’ Estrella Blanket, $160 ❱❱ Available at The Makers’ Keep (Kingsway Mall) and online. At Heartprint Threads, a blanket for you means a blanket for someone in need. 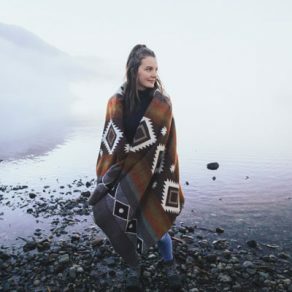 For every blanket sold, one is also donated to a local charity. This queen-size, machine-loomed Estrella blanket is made from 100% recycled acrylic. 2. Salgado Fenwick Market Bag, $20 ❱❱ Available at Barking Buffalo Café (124 Street) and online. 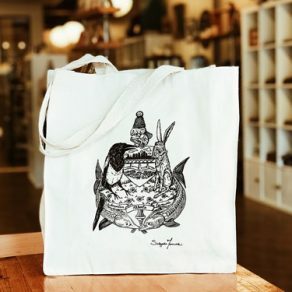 All Salgado Fenwick market bags and garments are handmade and silk-screened in small batches, making every collection a limited edition of wearable art. The Edmonton Crest Bag is made from 100% cotton and the perfect size for a trip to the market or returning books to the library. 3. 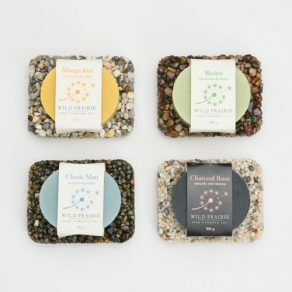 Natural Soap From Wild Prairie Soap Company (Whyte Ave.), $6.25, each ❱❱ Available at Wild Prairie Soap Company and many gift shops in and around Edmonton. All Wild Prairie soaps are 100% vegetable-based and contain 50% olive oil, making them long-lasting and skin-nourishing. All their product packaging is recyclable, and you can even bring your empty containers back to the store to receive 10% off the same product. 4. Azalea Single-origin Coffee Beans, $17.95, per bag ❱❱ Available at Good Earth Coffeehouse locations. 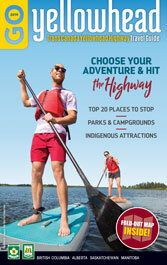 Good Earth roasts and packages all its coffee in Canada and prides itself on its mandate to make a positive impact in the communities where it operates by committing to direct trade with coffee farmers. 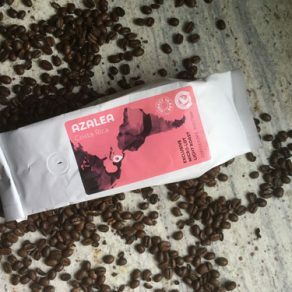 Azalea is a single-origin, Rainforest-Alliance-Certified coffee from Costa Rica, grown on micro-lot farms, run by multi-generational farmers, many of whom produce fewer than 20 bags per year. A light-roast, medium bodied coffee with a sweet caramel aroma and flavour notes of citrus, brown butter, vanilla, and black tea. 5. 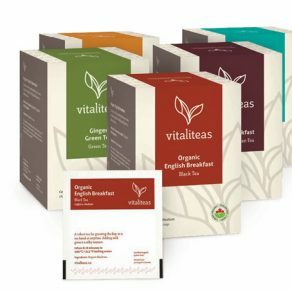 Assorted Tea From Vitaliteas, $9.99, per box ❱❱ Available at select cafés, including Block 1912, Café Bicyclette, Upper Crust, Vivo, and the Sugar Bowl, as well as the Strathcona Farmers’ Market and online. 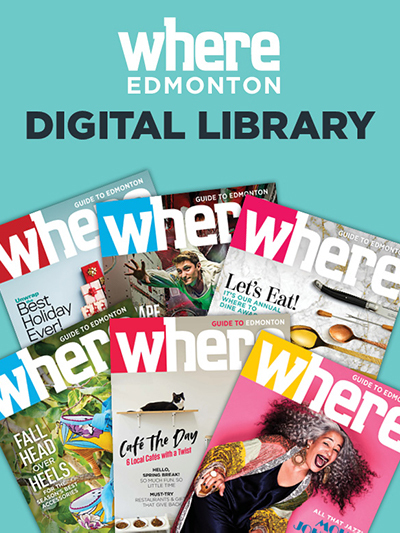 Vitaliteas’ founder, Fanta Camara, produces her high-quality teas right here in Edmonton, using organic mint and chamomile from local farmers and sourcing her spices and tea from importers who belong to the Ethical Tea Partnership, Fair Trade, and Well Earth Sourcing programs. 6. Pride Tape, $7, per roll ❱❱ Available at United Sport & Cycle and online. 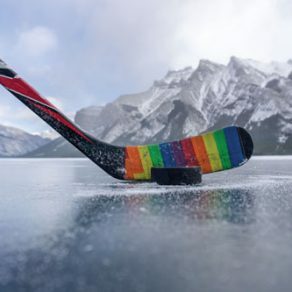 As a badge of support for the LGBTQ community, hockey coaches, parents, teams, and pros are wrapping their sticks in Pride Tape to help stop homophobia in sport. 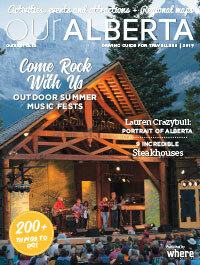 The Edmonton Oilers, You Can Play NHL, and the Oilers Entertainment Group are among the proud supporters. Pride Tape also supports LGBTQ youth outreach initiatives, which means every roll sold makes an impact on and off the ice.